As I reflect on my childhood I begin to reminisce on the many wonderful moments that have impacted the person I am today. One of those moments being the first time my Dad introduced me to a football as a little girl. From that day onwards almost everyday after school I would stand out on the nature strip in front of our house with a football in my hands just waiting for my Dad to arrive home from work. Once he’d arrive home I would run up and smother him with a big hug and then proceed to drag him by the hand to the backyard to play with me. There was something about the game I absolutely loved, and from there I continued to play and be involved in the sport up until my later teen years. Due to my family roots being that of Manchester origin along with years of being a United supporter, may #35 on my Bucket List come at no surprise! 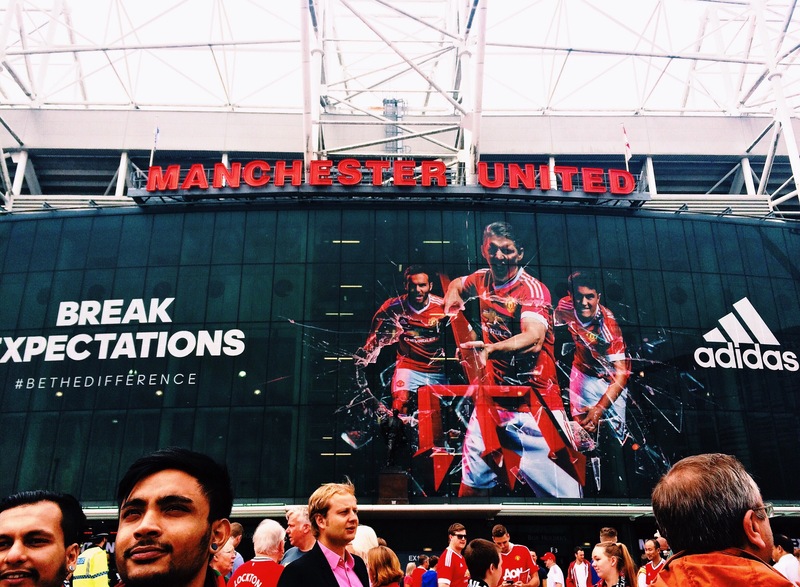 Being based in Manchester recently and with the English football season having just begun, I was keen to finally go along and get a taste of my first live Manchester United game at what has been their home for the past 105 years, Old Trafford. 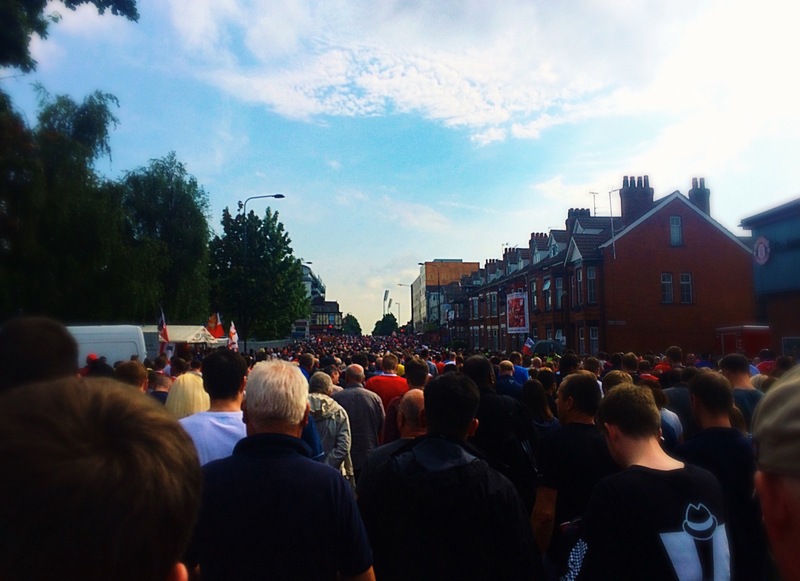 The streets were crowded in a sea of red as tens of thousands of die hard supporters made their way in the direction of the ground. Once arrived we made our way through the gates and into the stadium to our seats. Sitting tightly amongst a cluster of mad United fans I had promised myself not to get carried away and to remain calmly in my seat at all times throughout the match. As it turns out keeping quiet is not as easy as it looks! From the minute the players ran out onto the field to the moment the full time whistle blew, the atmosphere throughout the entire stadium was electric. After the first 15 minutes I had broken my promise to myself and was up on my feet providing my own live commentary to anyone within a 100 meter radius. Although the outcome wasn’t the one I had hoped for, a nil all score between United and Newcastle was better than a loss. And as for the over all experience? Amazing! If you’re after an adrenaline hit but jumping out of a plane isn’t exactly your cup of tea then get yourself along to an English Premier League match and I promise you won’t be disappointed! Amazing! I’m going to Manchester in early in November to attend a game at Old Trafford and will be sure to write about it! Lovely to read about your experience! I’m sure you’ll love it just as much as I did! Enjoy!